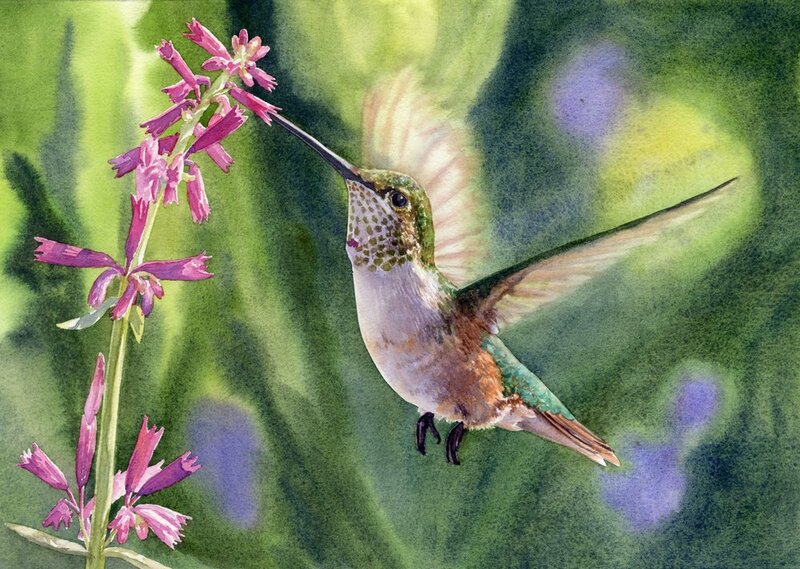 Story Behind This Painting: I have started putting out hummingbird feeders in my yard the last few years and had a few female Rufous find them. They also really enjoyed some of the flowers I have planted including the salvia in this scene. I took lots of pictures of them last summer and had fun painting the blurred background and wings in this one.